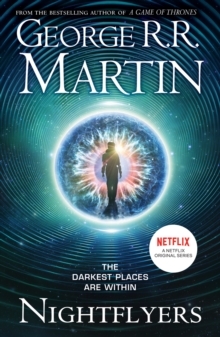 Alien meets Psycho with a chilling mystery set on a haunted spaceship in this short story, soon to be an original series on Netflix, by the #1 bestselling author of A Game of Thrones. On a voyage toward the boundaries of the known universe, nine misfit academics seek out first contact with a shadowy alien race. But another enigma is the Nightflyer itself, a cybernetic wonder with an elusive captain no one has ever seen in the flesh. Soon, however, the crew discovers that their greatest mystery - and most dangerous threat - is an unexpected force aboard the ship wielding a thirst for blood and terror... Coming to Netflix in 2019 - read it before you see it!